Various types of moving is the main specialization of “Virginia Movers”. Any removal arranged by our company is held in a professional manner with the utmost care and caution. We are able to transform your residential moving into the fun. We guarantee careful and accurate attitude to your belongings. We are ready to perform military and government removals of any size and any level of complexity. USA is not the only country where we operate. We will arrange any moving for you to another country as easy as to the house next door. “Virginia Movers” is ready to take care about your local moving and help you save time and efforts. Thanks to our experiences in the relocation of any complexity, we will arrange your removal as efficiently as possible. Long distance moving involves transportation of everything to a new place according to your plan. We develop the best routes for any long distance moving. “Virginia Movers” will answer the most urgent questions related to moving! 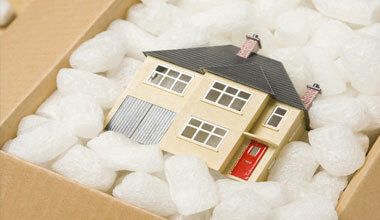 We will focus you attention on all the stages of the moving process to help you with it. How to disassemble the furniture and pack your belongings, how many loaders you will need, what packaging materials are necessary. If you want your moving to pass smoothly and without any unpleasant surprises. Use our moving checklist to prepare everything in advance. How to distinguish the professionals from the amateurs? No one knows the definite answer. However, “Virginia Movers” can advise you the details that you must pay attention to. We know what the visitors of our site want- to move safely, on time and at the lowest possible price. Knowing these priorities, we have built all our work so that our customers remain satisfied with our services. “Virginia Movers” is ready to carry out your apartment moving at the highest level. Moving with us is as easy as an ABC. We will easily transport even the largest company with the most expensive equipment. Thanks to the efficient organization and our competence, your company starts working immediately after the move. We are particularly attentive to musical instruments. Pianos transportation will be done in a professional manner. We are a reliable and professional state to state moving company. We will make your state to state moving comfortable! With us, your household moving will leave only positive memories. If you contact our professionals, it will save you from unnecessary troubles. Our specialists will offer you some additional services, such as packing & unpacking, storage services, insurance, etc. We are ready to do everything for your convenience. We will carefully pack your things in the most suitable packaging materials, and then unpack them at the destination point. Your belongings will be perfectly safe. Warehousing is always at your service for safekeeping of your items. Our experts will disassemble, pack your belongings and deliver them to the warehouse, where they will be stored until your request. Blog about your Moving from "VA Movers"
Here you will find relevant, useful, and timely information about moving. Read more about moving tips from "VA Movers"
Terrific moving tips that will make your life so much easier. Do you know all the pitfalls of moving? And “Virginia Movers” knows them and is ready to share its experience with you here to ease such a tiresome process as moving. Services related to moving that you can get applying to a professional mover. Look through the services available to decide what type of relocation is preferable in your case. We will make your moving easier! We are sending your information to our server. Please be patient.. Thank you! Your information has been sent. Our representative will contact you shortly. “Virginia Movers” moving company offers professional services for organizing and conducting of all types of business and household removals, as well as services of loaders, handling, assembling/disassembling of furniture, packaging in the country and not only. We treat every move individually and with full understanding of the client. “Virginia Movers” is the company that can offer you completely different moving options, depending on your desires and financial capabilities. We can help you find the best solution to your moving! “Virginia movers” has been providing quality services in the organization of residential and corporate moving, offering a wide range of additional services. Being one of the local movers Virginia, we do not limit our operations within one state, so we are ready to arrange national and international relocations for you, as well as local and long distance removals. We are one of the movers Virginia that specialize in military and government moving. We can plan and organize your moving whether there is a large enterprise or a one-room apartment. For us it does not matter the size of your moving, a successful moving is important for us! We try to cover the entire range of services connected with moving, because it is easier for customers to order everything at once, rather than seek some firms performing different tasks. Our professional packers and loaders conduct their work quickly and accurately, so your move will not disrupt your neighbors. Our array of vehicles consists of a large range of cars that are adapted to transport furniture and other property. All our vehicles are in perfect technical and sanitary conditions. In addition, they are equipped with the most modern means of computer navigation. This allows, on the one hand, to choose the best route easily and quickly, and on the other, to constantly watch the location of each of the cars from the control center. 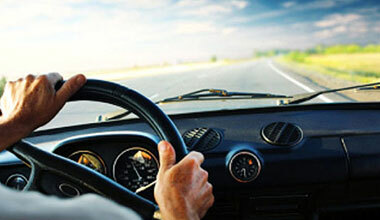 Our drivers are very experienced experts on transportation of property. Are you looking for movers in Virginia? Do you want to fulfill your removal without spending time and efforts? Talk to us! Our entire staff has extensive experience. We perform any moving for the shortest possible time, saving you time and money! You do not have to worry if you entrust us your removal! Quickly, accurately and fully intact all your belongings will be delivered to a new location. With the same care we can pack and carry your favorite flower and arrange the removal of the old piano or ATM. 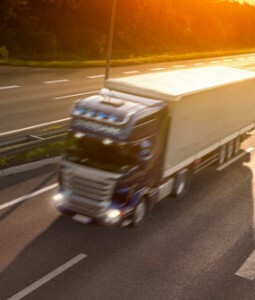 We take full financial responsibility for the transported property. First of all, we focus on our customers. We try to make everyone, who comes to us, our regular customer and proudly recommend “Virginia Movers” to all his friends and business partners. The secret of our performance is in the close-knit and professional team, which is able to provide quality and fast moving. Virginia moving or any other state or country, the quality of services will be the highest! Our moving services are not very expensive, but the quality of them is at a decent professional level. Apply to us to make sure in this in person! We will carefully pack your things in the most suitable packaging materials. Choose a “turnkey” moving with “Virginia Movers” or just our vehicles to transport your belongings. Everything was the great, the movers were very friendly and professional, would recommend to anyone. Thanks so much. Very professional office staff and movers . Really i was very impressed and grateful. thank you so much! Some tips for selecting a moving company. Making a move to Virginia can be stressful as well as very exciting. Small moving companies are perfect for small moves.